Ok, so maybe the new carpet isn't "Red" but we have installed the "Grey" carpet in the classroom already. It sure is beautiful! We do want to remind you we will be CLOSED next Monday, April 28th. 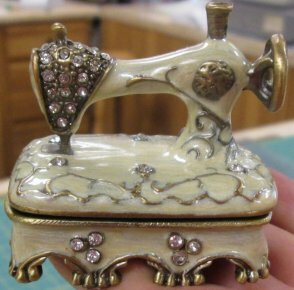 Isn't this Keepsake Sewing Machine just beautiful? It is a great little gift for Mom on Mother's Day. 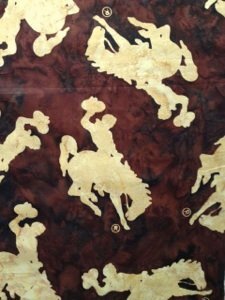 We have had such a great response regarding the Licensed Wyoming Batik Fabric that we wanted to show you again. 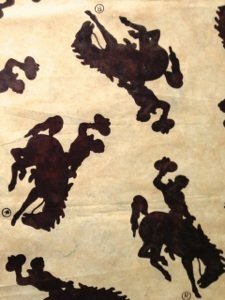 If you would like to pre-purchase the fabric, you can go to the website www.valleyfabricshop.com and place your order there or you can give us a call. 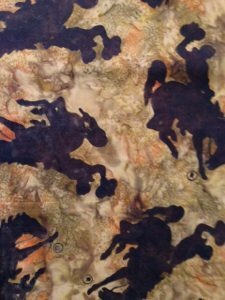 We are just so excited to have this in our store!